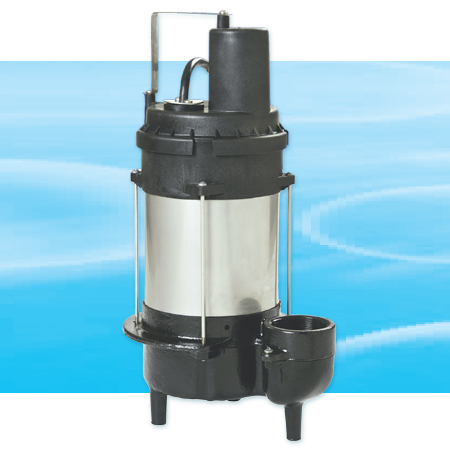 The Model 6700 is a ground breaking .6 HP, 2″ Sewage/ Effluent Pump. This pump takes advantage of the most energy efficient, low amperage, low RPM, motor on the market today. The low amperage gives our pumps the ability to cycle in excess of 4 million cycles without burning out the switch contacts. And, since our pumps operate at 1700 RPM, the bearings, shaft, and seals, will never wear out unlike the smaller pump motors on the market today using multiple seals and ball bearings running at 3450 RPM. Behind this spectacular new pump is the PSC (Permanent Split Capacitor) motor technology. This technology incorporates the largest capacitor in the industry that lets our pumps operate in any application without even breaking a sweat. This new motor capacitor has the added benefit of significantly reducing the heat on the switch contacts. The cooler the contacts the longer the life, and since our switch never comes in contact with the water, it makes this pump virtually bulletproof! All NexGen Pumps come completely assembled, no hassle, ready to install. Each and every pump is tested and put through multiple running cycles before it is shipped. Powerful, efficient, high torque .6 HP Permanent Split Capacitor technology motor. Oil filled for lifetime lubrication. No floats to hang up or catch debris. Real world tested to over 4 million cycles. Dependable water level control is completely enclosed and isolated from water contact. Corrosion inhibitors used to protect switch and electrical connections. Automatic reset overload protector for positive protection against motor burnout. Each pump is pressure tested and put through multiple running cycles before shipment. Over the counter hassle free, In-Warranty exchange.